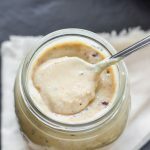 This honey roasted almond butter recipe easily replaces store bought.Whether you can easily buy a bottle of honey roasted almond butter or not there is so much satisfaction in having control over exactly what goes into our bodies. 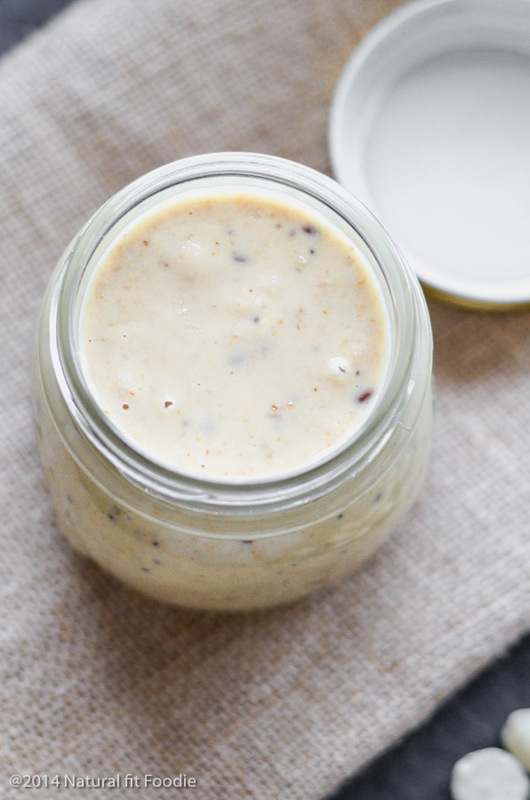 Why make your own almond butter? You cannot purchase almond butter where you live : I started making almond butter at home out of necessity. Neither the supermarkets nor the health food shops here in my town sell almond butter. Sometimes I get pretty upset when I can’t buy certain foods here but then I try to see the upside and thank God that I am a DIY kind of girl. Not having easy access to certain foods, like almond butter, has forced me to learn to make them myself which is awesome because I get to customise it as I see fit. 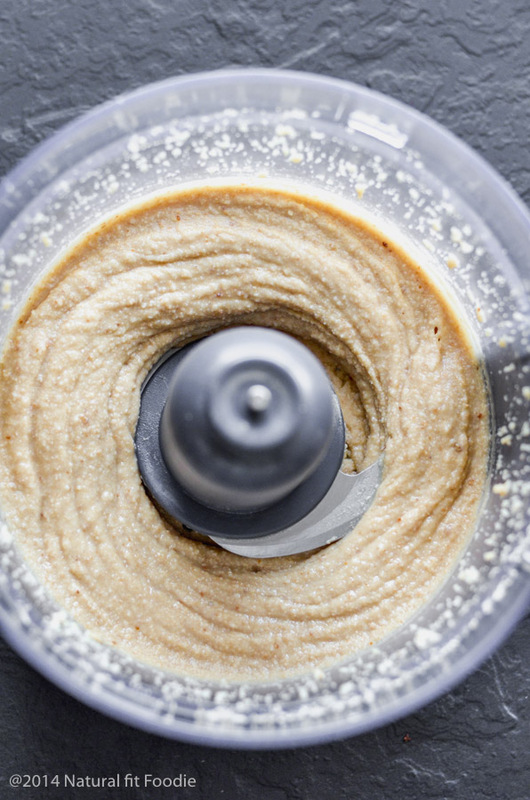 The only store bought almond butter you can buy is full of junky junk ingredients : For sure homemade versions are way healthier. A good quality almond butter like this tends to cost an arm and a leg. 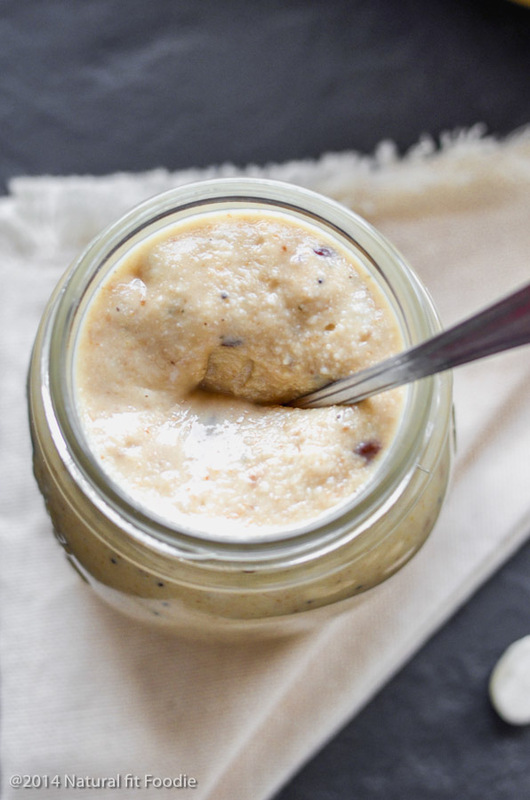 I choose to use blanched almonds when making this honey roasted almond butter recipe. Reason being that almonds along with other nuts, grains and legumes contain phytic acid. Phytic acid is found in the skin of the almond so by using blanched almonds you can bypass consuming this ‘anti-nutrient’. What’s the problem with phytic acid? Phytic acid can bind minerals, iron, zinc, and manganese in the gut before they are absorbed. Once bound, they are excreted through waste. If you’re slightly anaemic, as I am, that’s not good news. 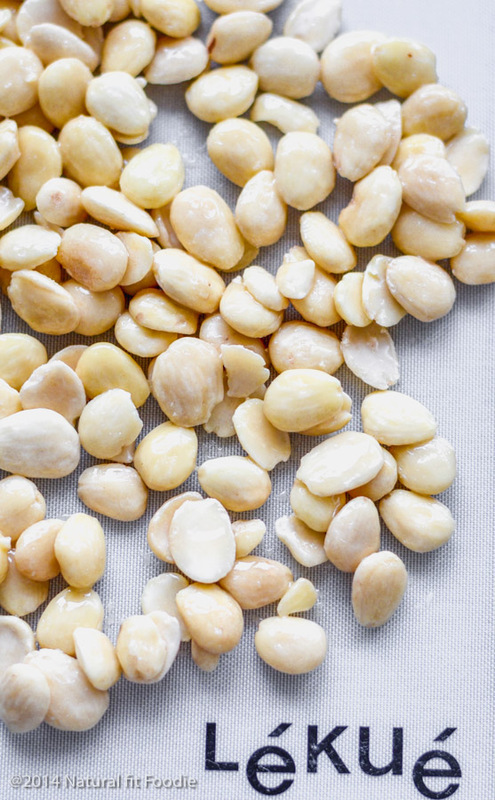 Don’t go and throw away all the nuts in your pantry just yet though. Humans can tolerate a moderate amount of phytic acid and despite its pitfalls there are potential benefits to phytic acid. This article sums up the pros and cons of phytic acid wonderfully. Please take a few minutes to read it. How to make Homemade Honey Roasted Almond Butter? Here’s you you do it! Step 1 : Evenly coat almonds with honey and place on a silicone baking mat or a baking sheet lined with parchment paper. Roast the nuts in the oven for 10 minutes. Roasting really brings out the flavour of almonds. When you have a smooth, creamy mixture your honey roasted almond butter is ready to be bottled. Before you do that bump up the nutritional value by adding a couple of tablespoons of Omega Seed Sprinkles and pulse to combine. You could also add some spices like cinnamon and nutmeg, I just never know how I’m going to use the almond butter so I prefer to keep the taste fairly neutral. 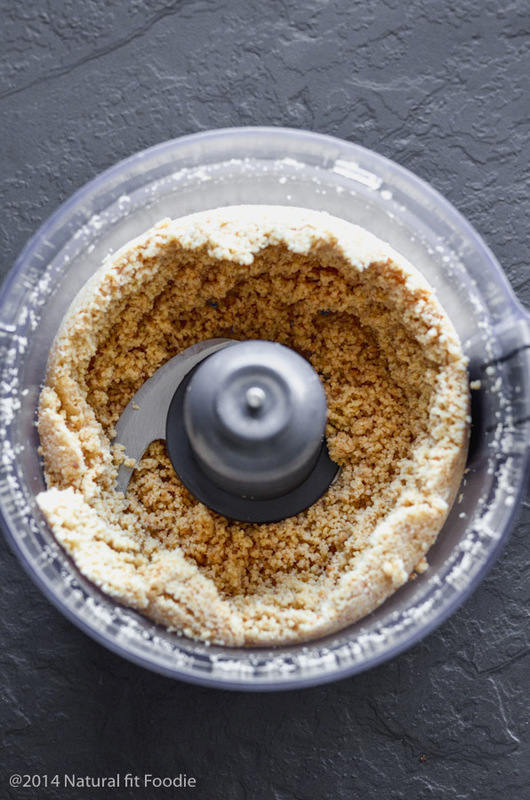 You can continue to process the almond butter until it reaches the consistency of your liking. The longer you process it the thinner it gets. 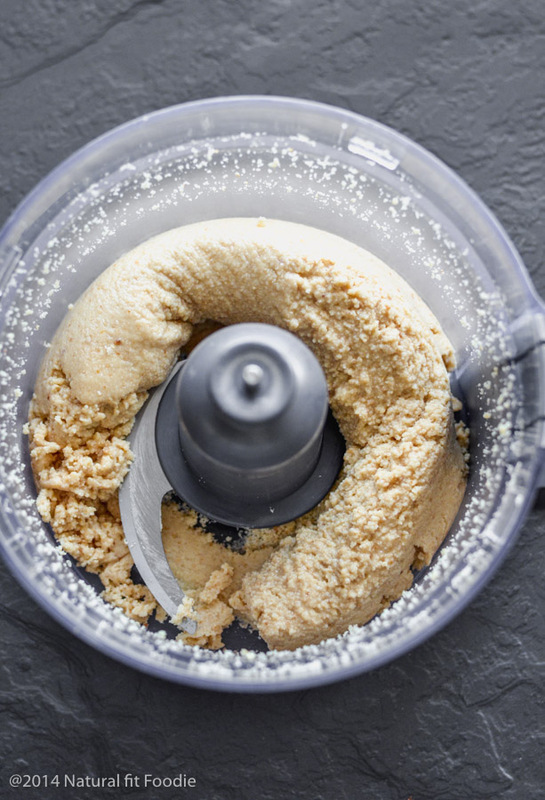 Won’t you try to make your own almond butter? 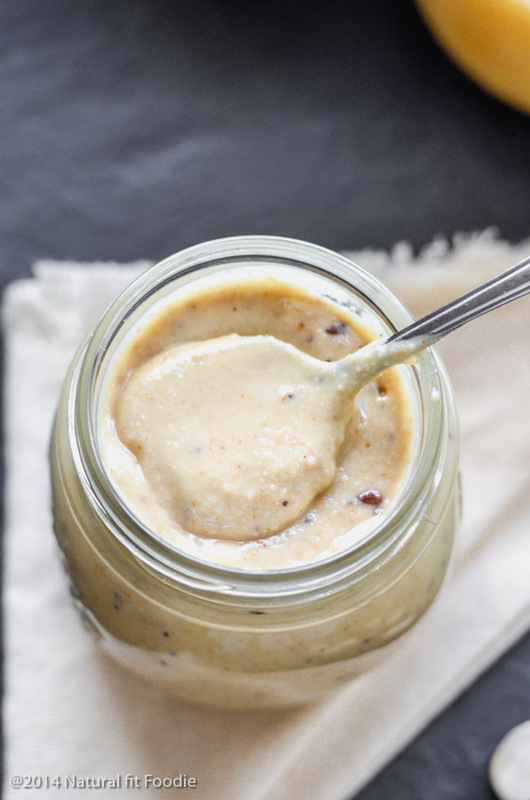 Know someone who loves nut butter? 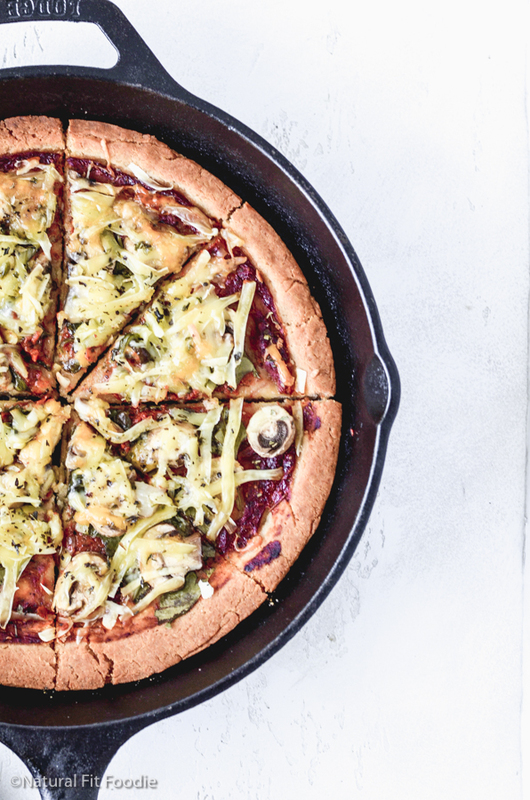 Please share this post to give them a chance to try out the recipe too! Line a baking sheet with parchment or a non-stick mat. In a large bowl mix the almonds together with honey to coat evenly. Spread the almonds out in a single layer on the mat. 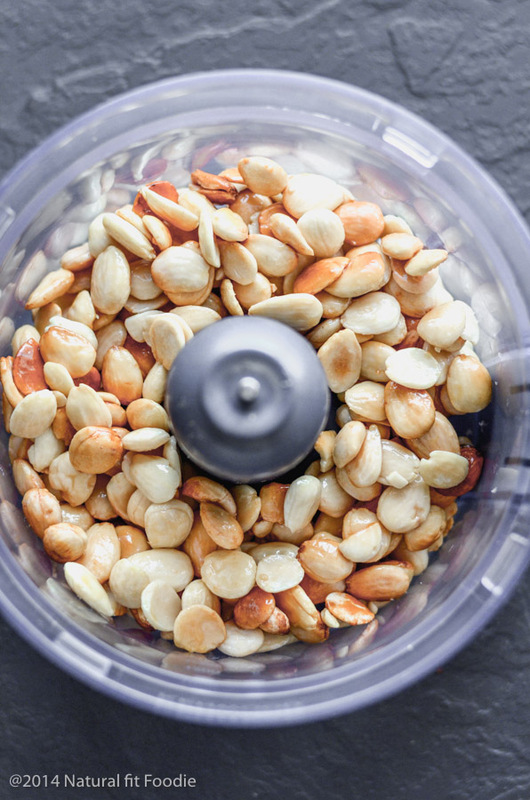 Remove the almonds from the oven and place them straight away into the bowl of your food processor. Do not allow the almonds to cool or they will be stuck. Add the salt and begin processing. 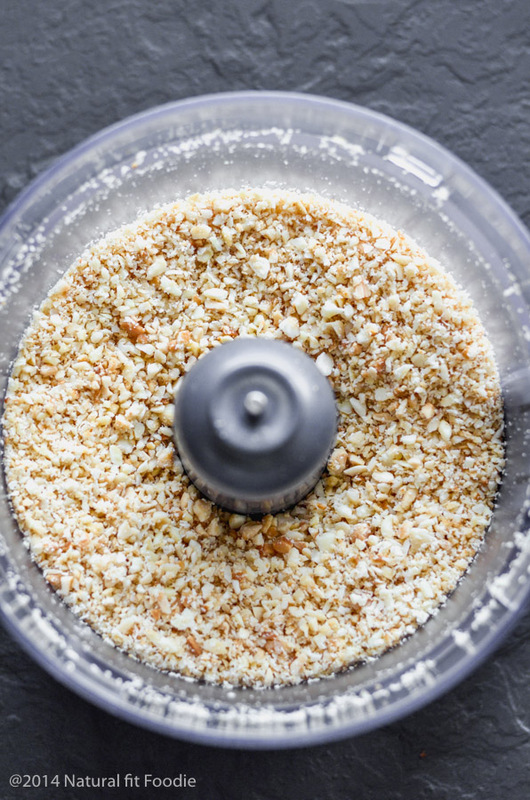 Continue to process the nuts until the oils are released, and a smooth, creamy mixture is formed. At that point add the 2 tablespoons of Omega Seed sprinkles. Pulse to combine. 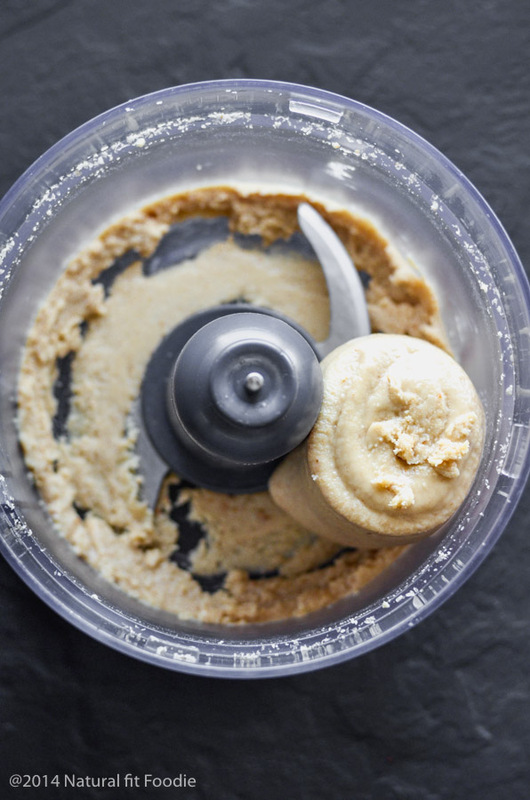 Transfer the almond butter to an airtight glass container and store at room temperature or in the refrigerator. Easy and delicious recipe! My favorite! That’s a good idea to make your own because it IS so expensive! I like the raw almond butter and sometimes it’s harder to find. I may have to try this. Thanks Marianne! If you can find a deal on bulk almonds it would cut down on costs even more. Let me know if you try it! It would be the perfect topping for my morning oatmeal. I love how you added in honey for a touch of sweetness. Thanks Cara. 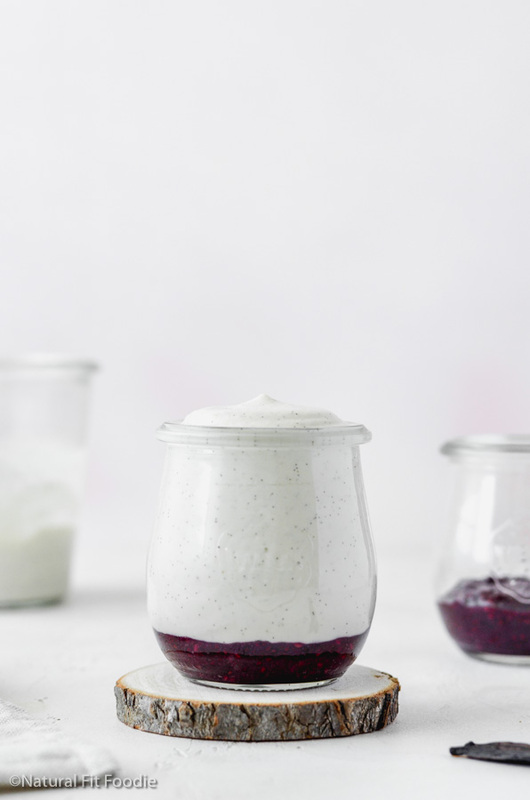 It makes the perfect topping for oatmeal…and pancakes…and fruits bowls…ohhh yummy! I am also blown away by the high prices of store-bought almond butter. I love it but in my local health food store in New York City organic raw almond butter was #23.99 and various brands were in the same range. I love your easy almond butter recipe. Can’t wait to make my own. I already make almond milk so this is next! Pinning and sharing this!